Conservatories can be used all year round and they’re a very popular way to increase your living space as well as adding value to your home. 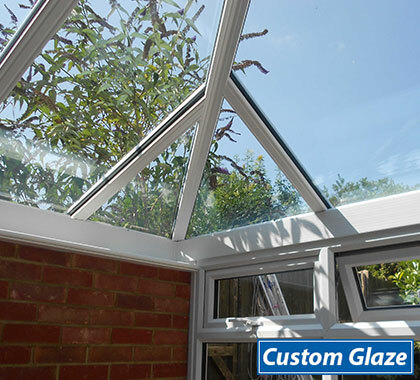 With a conservatory, glass is not only used for the sides but also its roof. 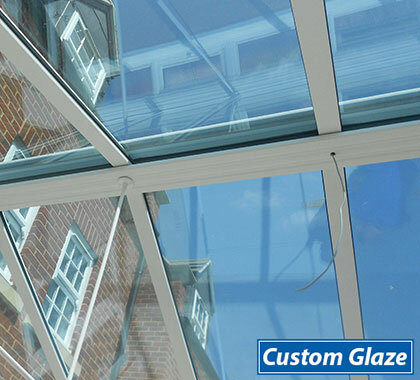 By having a glass roof it can enhance the performance of your new room in more ways than you might imagine. Consider the benefits, or combination of benefits, that glass can offer you. 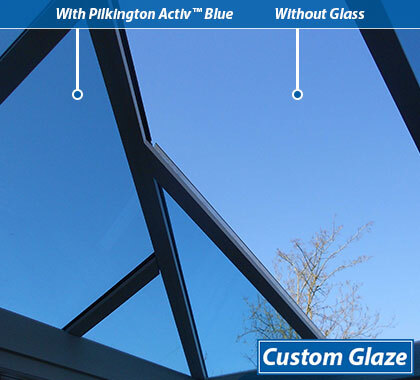 We install Pilkington K Activ™ Blue self-cleaning glass as standard in all our conservatories. 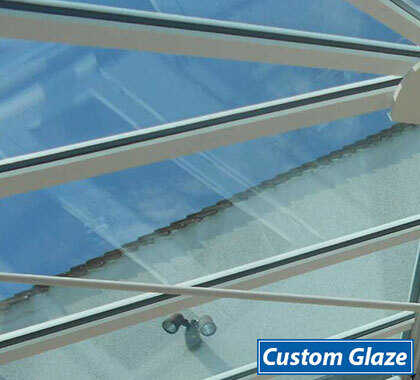 Not only does this improve insulation, but this glazing type has a unique dual action microscopic coating, making it ideal for use in conservatory roofs. The coating reacts with daylight to break down organic dirt. Then, when rainwater hits the glass it spreads evenly, running off in a sheet and taking the loosened dirt with it. It also dries quickly reducing streaks. All you need to do is give the glass an occasional wash with a hose during dry spells. The Pilkington Activ™ Self-cleaning glass range is available in a choice of colours: Blue, Clear, Bronze, SunShade™ and Neutral. Each of these products has its own unique and shared benefits. For further information on the Pilkington Activ™ range please speak to a Custom Glaze Sales Rep: 01908 650 140. 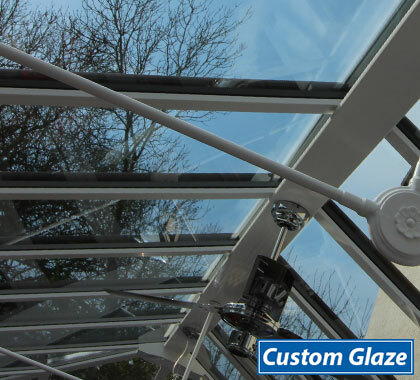 The type of ventilation you need is specific to each conservatory, considering factors such as size, shape and most importantly, aspect in relation to the sun. 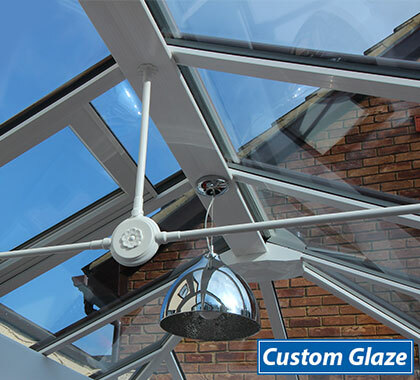 South-facing conservatories need to take into account the direct sunlight they receive in summer, whilst north-facing sites need to consider heating options for the colder months of the year. Other factors for consideration include overshadowing of the conservatory from obstacles such as trees and buildings and the severity of wind in your area. 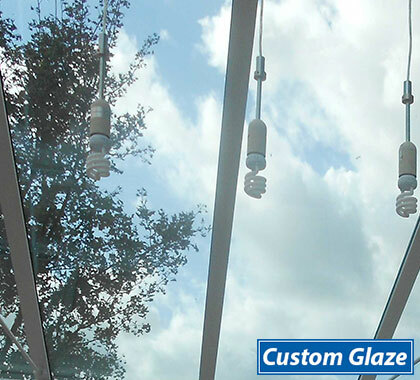 Glass provides a better view than plastic (polycarbonate), which can also become dirty very quickly. Increased energy efficiency for greater comfort and lower heating bills. Less noise when it rains for a more relaxing and peaceful environment. 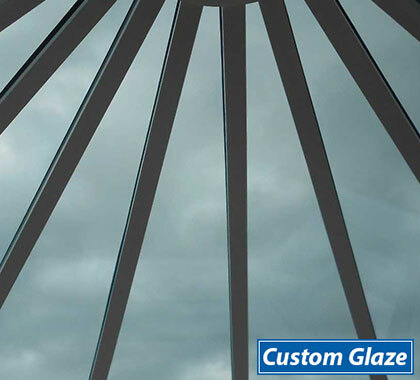 Revolutionary self-cleaning glass for a more practical and attractive finish.